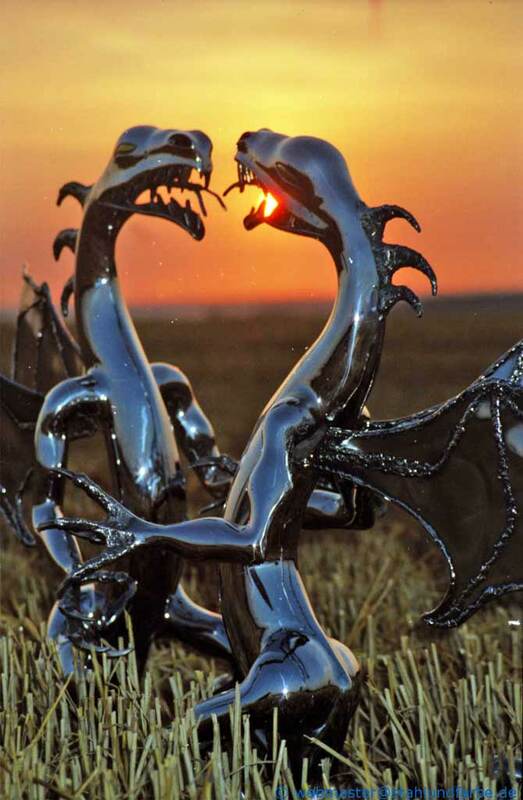 steel sculptures steel dragons in the fire. 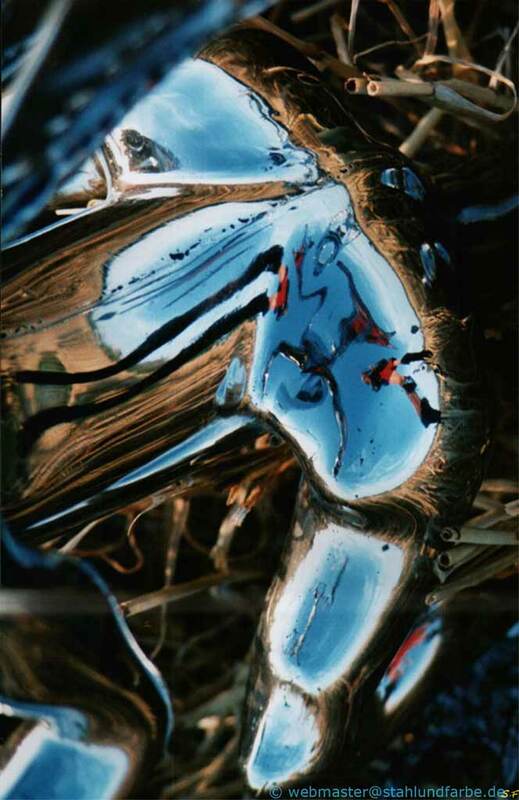 The dark suction of the subconsciousness. 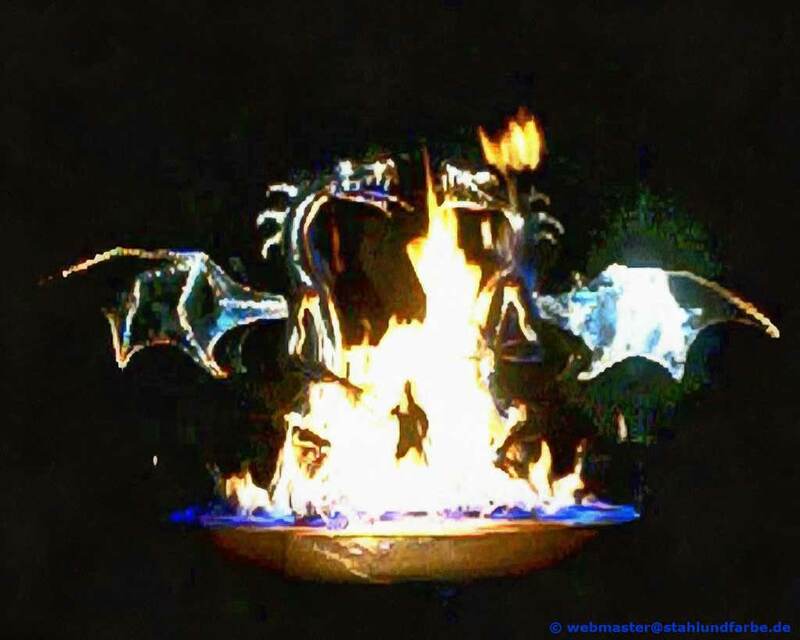 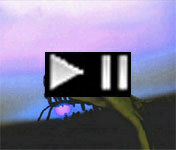 Snapshot video recording of installation fire performance on swivelling stage Dragons in the Fire. 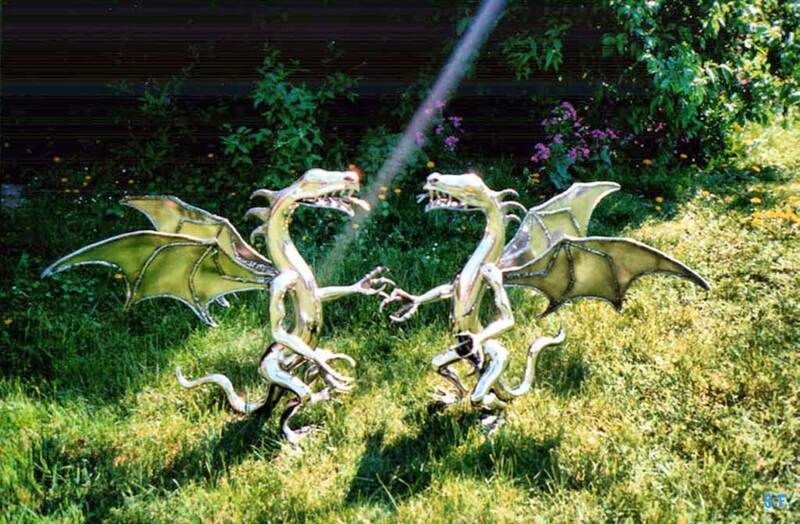 The dragons form with our illustrated book project Dragon's way - dragon's look the essential basis. 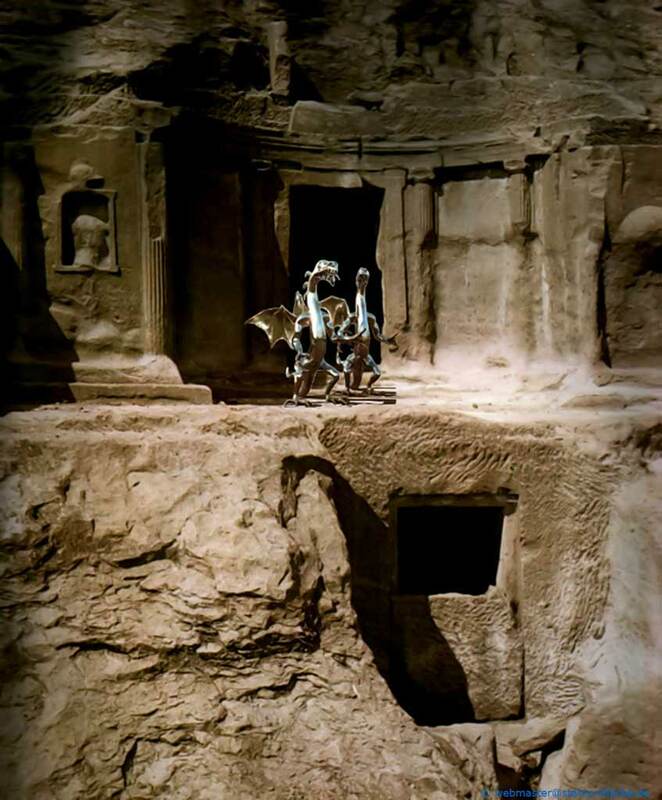 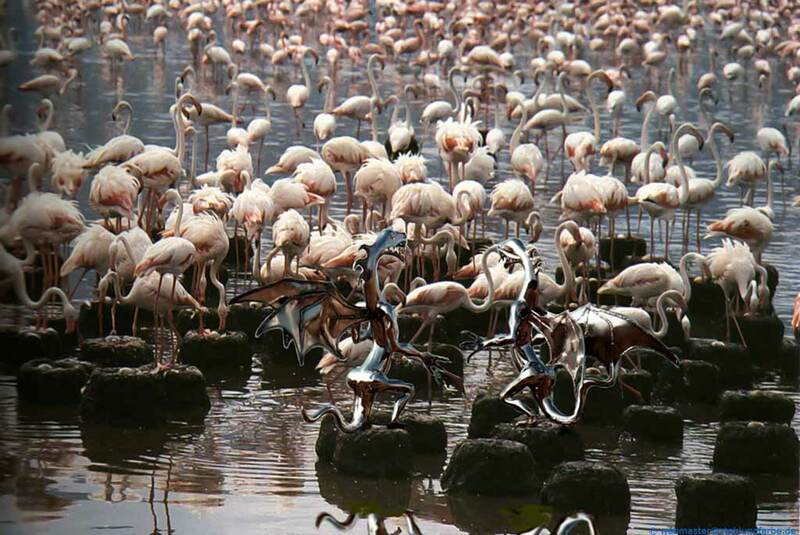 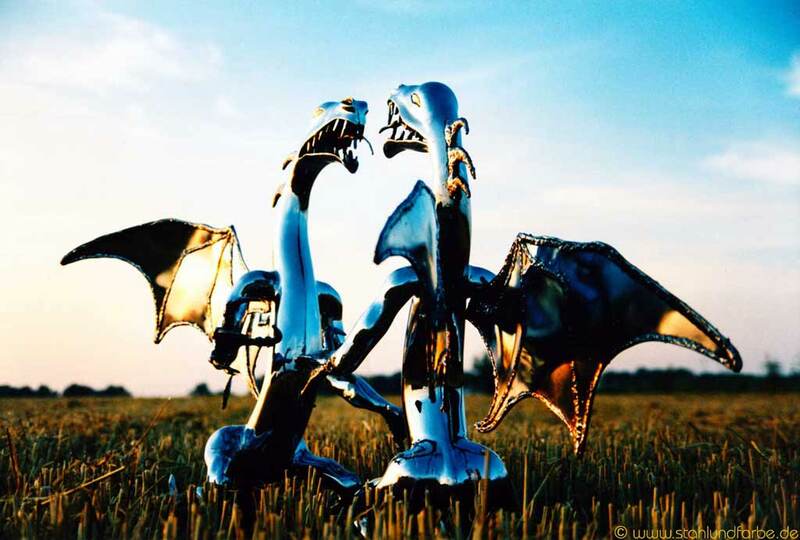 This is a photo project about a trip of the dragons by the world and her meetings with humans. 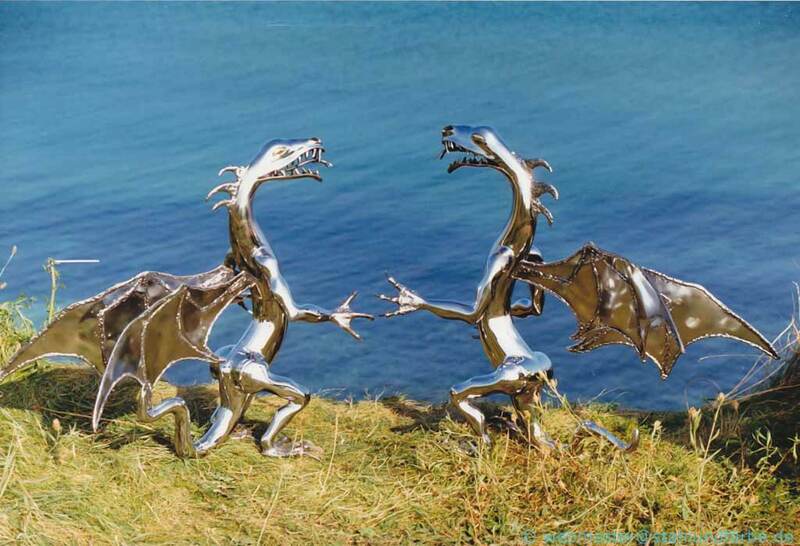 For the dragon's look - meetings between dragon and human - we want to inspire of course also people who stand in the public life: Politician, actor and artist. 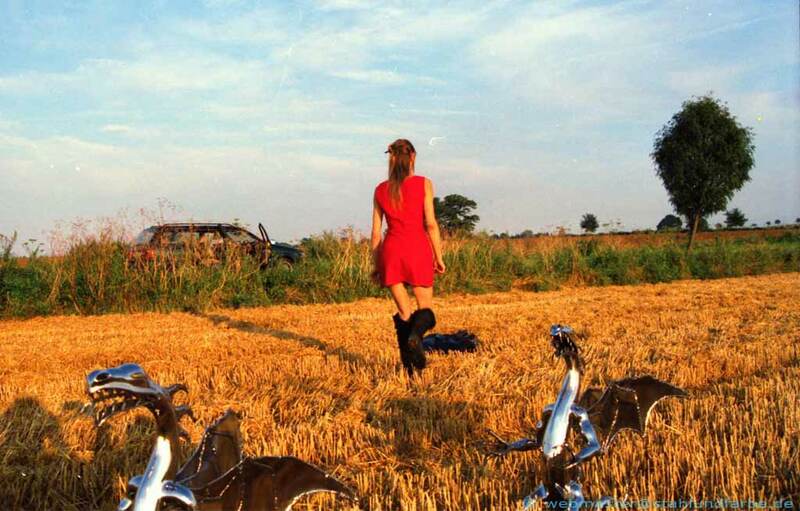 Some figures from this project, here we would like to introduce. 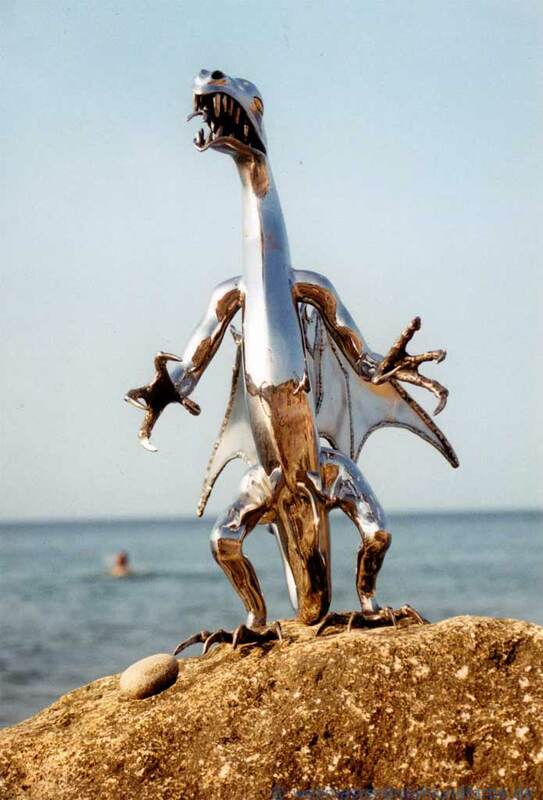 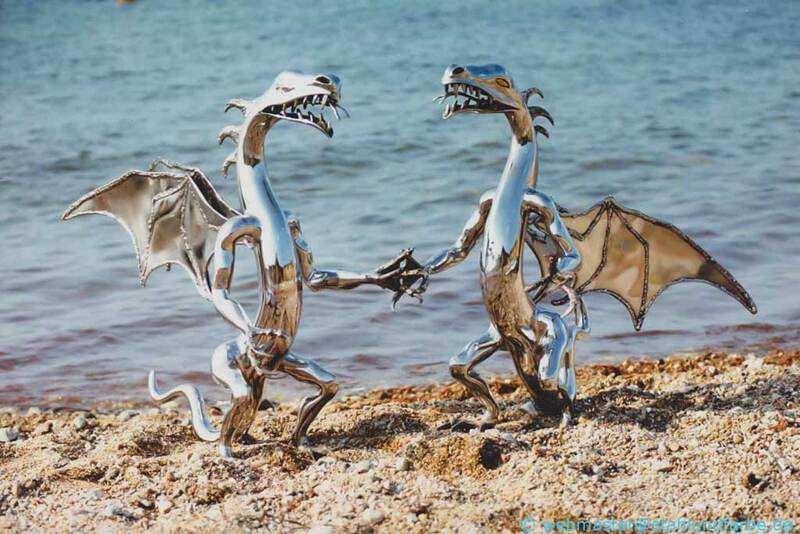 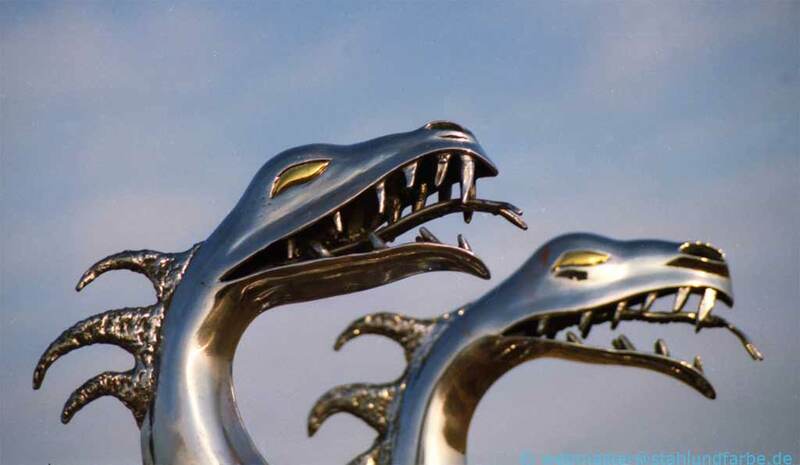 "The steel dragons on the Baltic Sea." 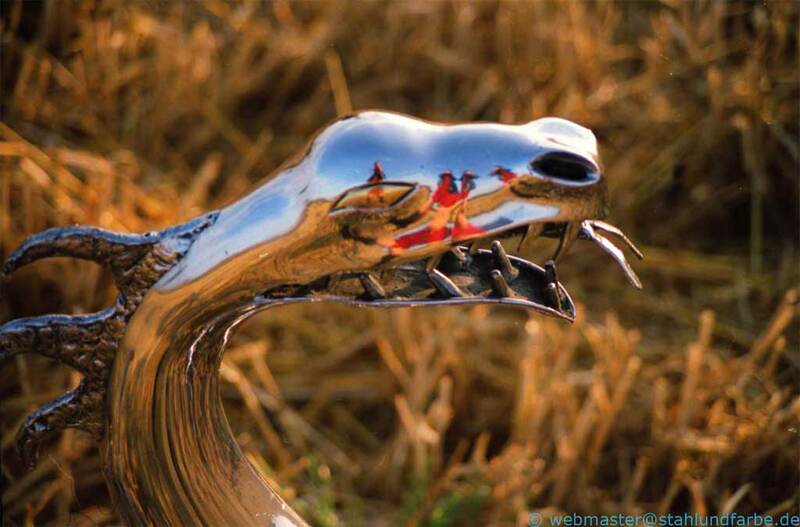 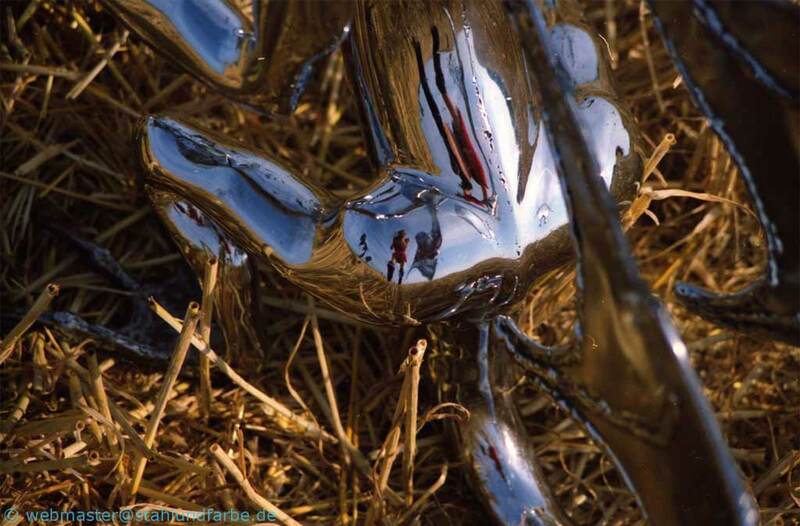 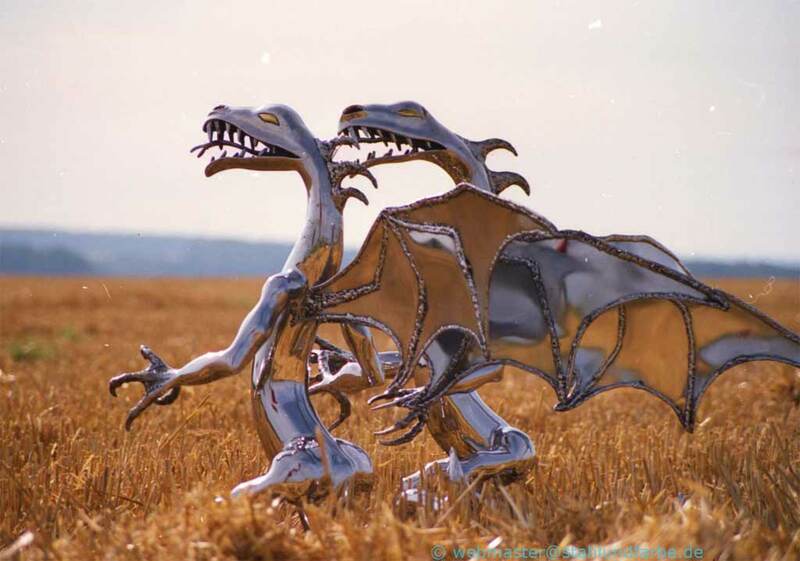 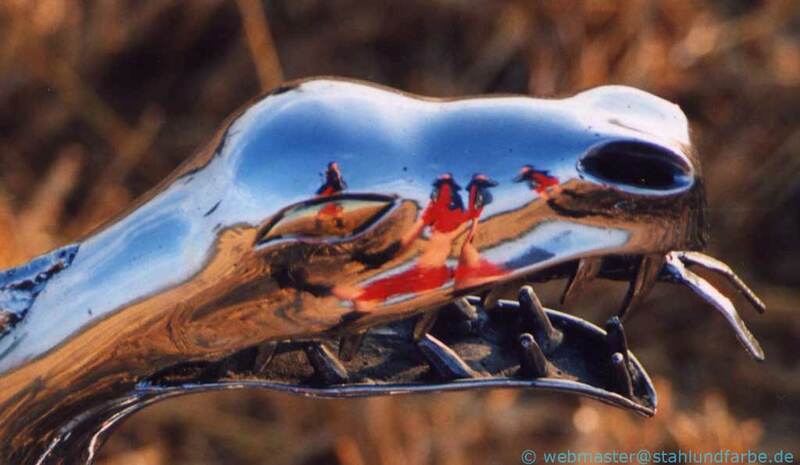 "The steel dragons on the stubble field." 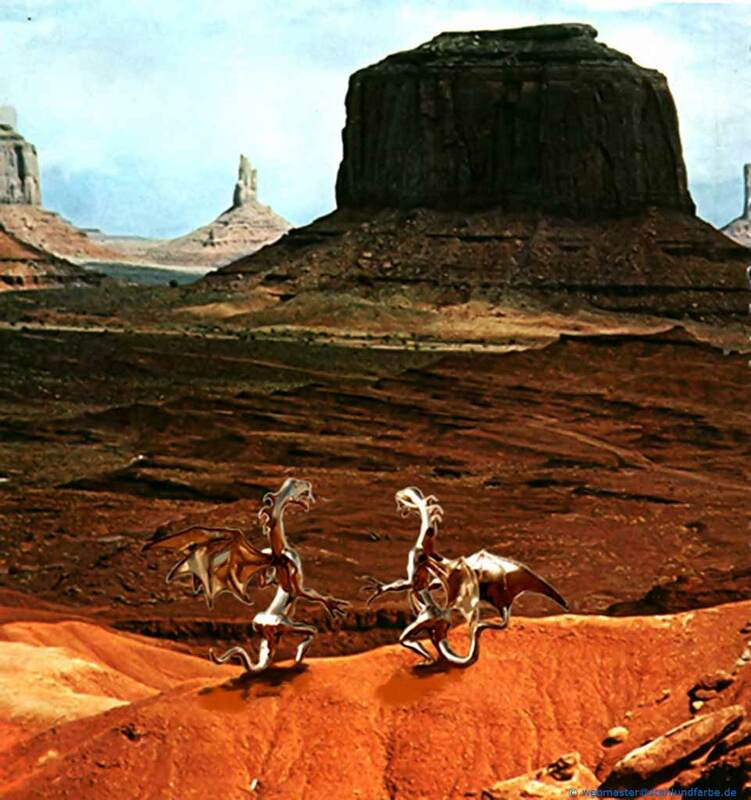 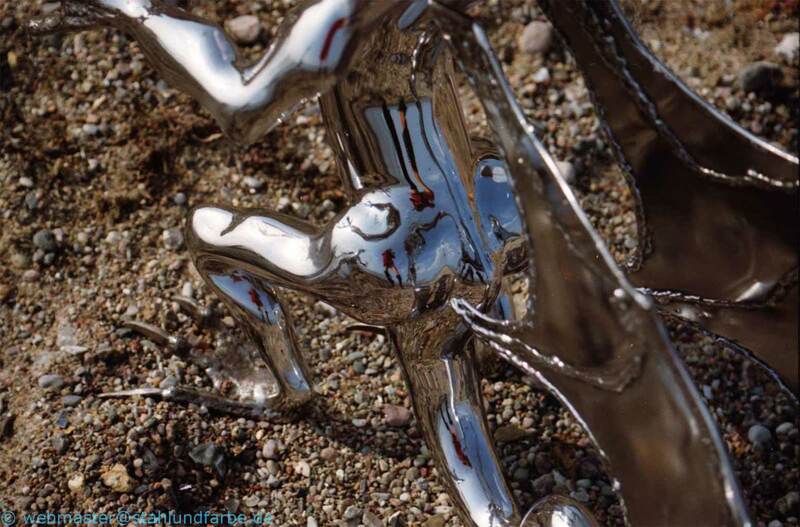 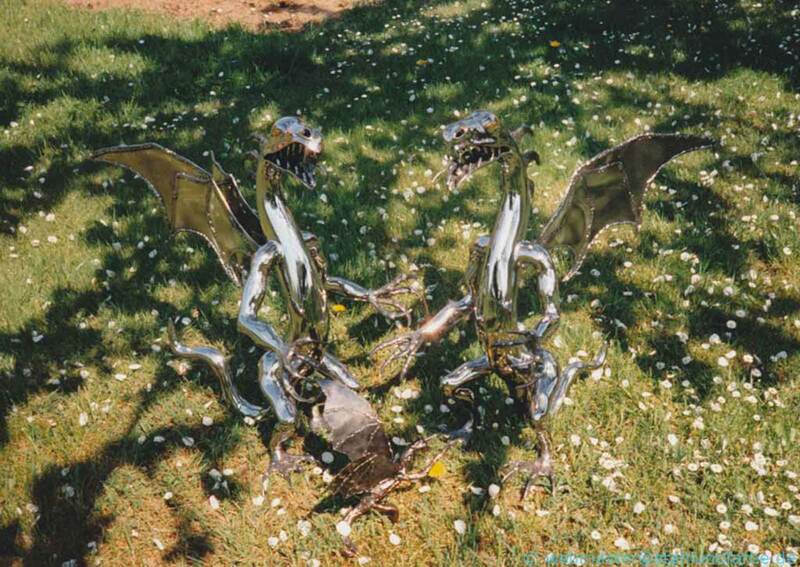 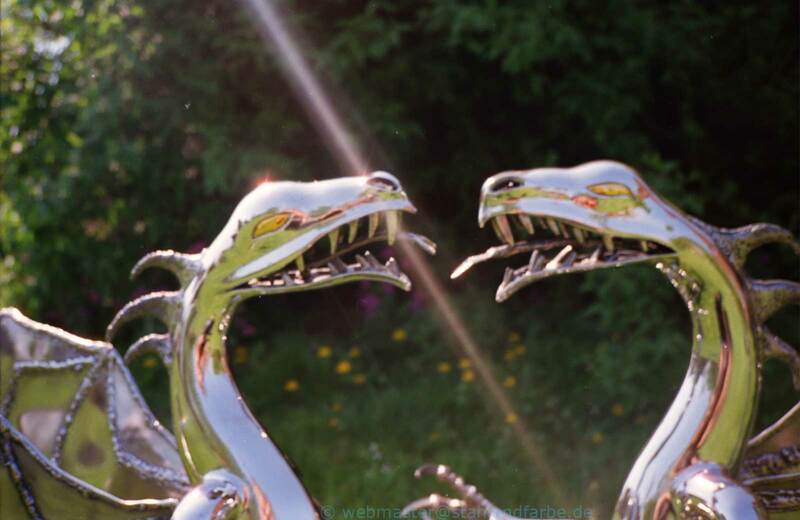 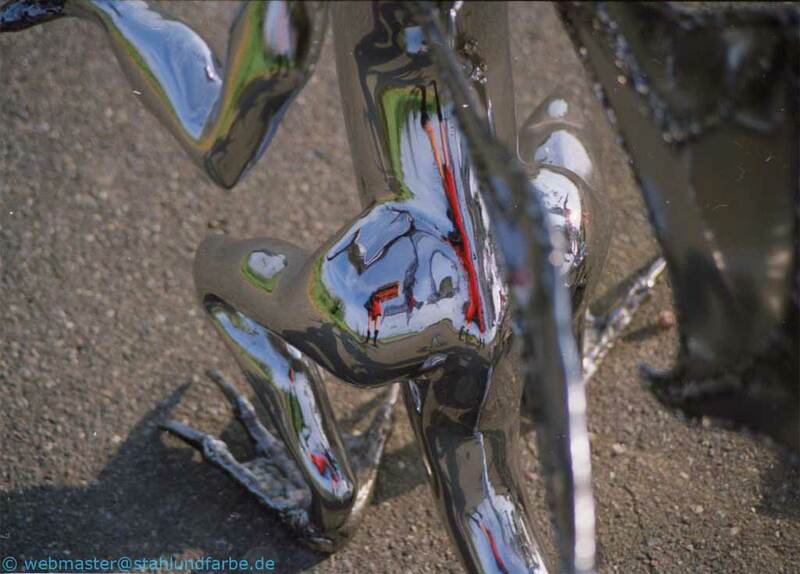 "The steel dragons in the garden." 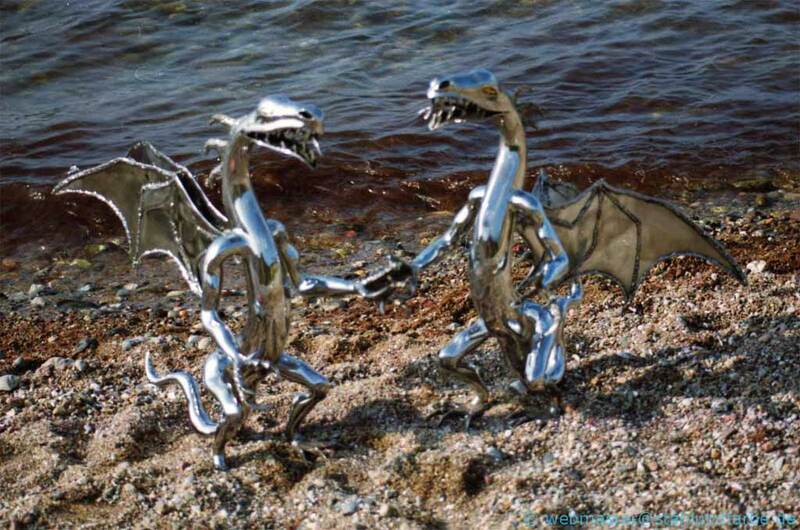 "Steel dragons on travelling. " 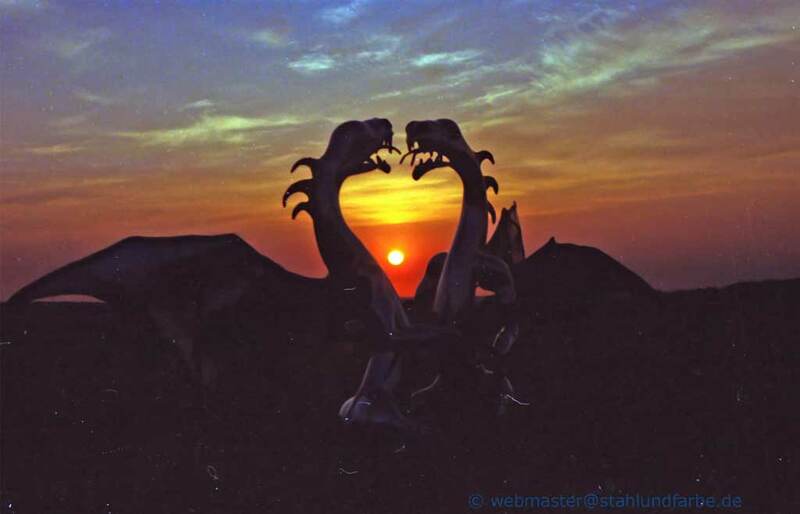 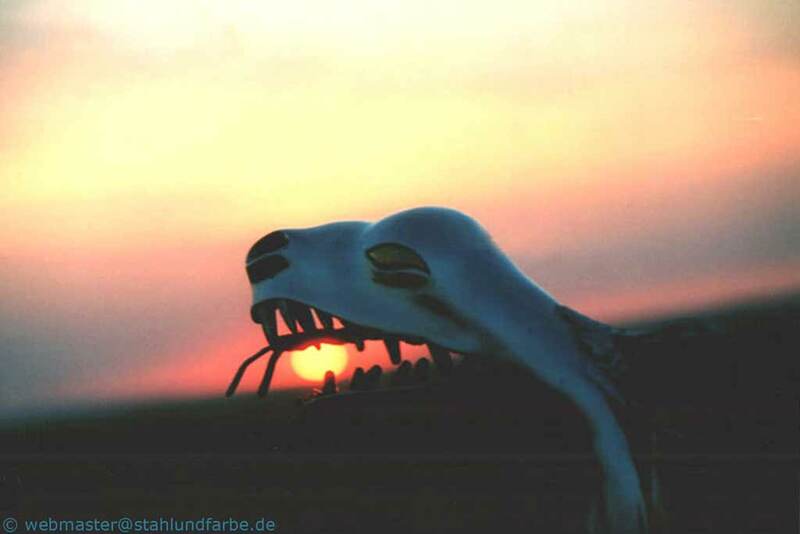 Dragon in the light of the rising sun.